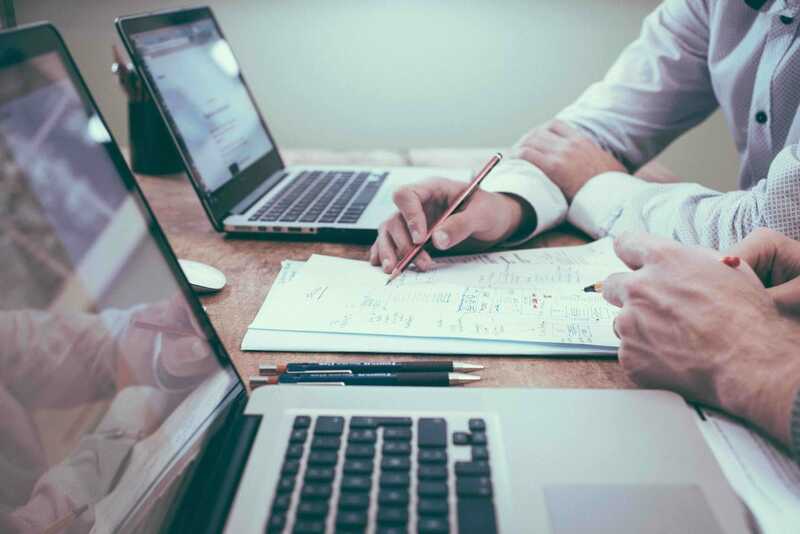 Successful business growth relies on a number of different factors, but two of the most important are sales and marketing. Together, they form a symbiotic bond that could essentially define a sale on their own. 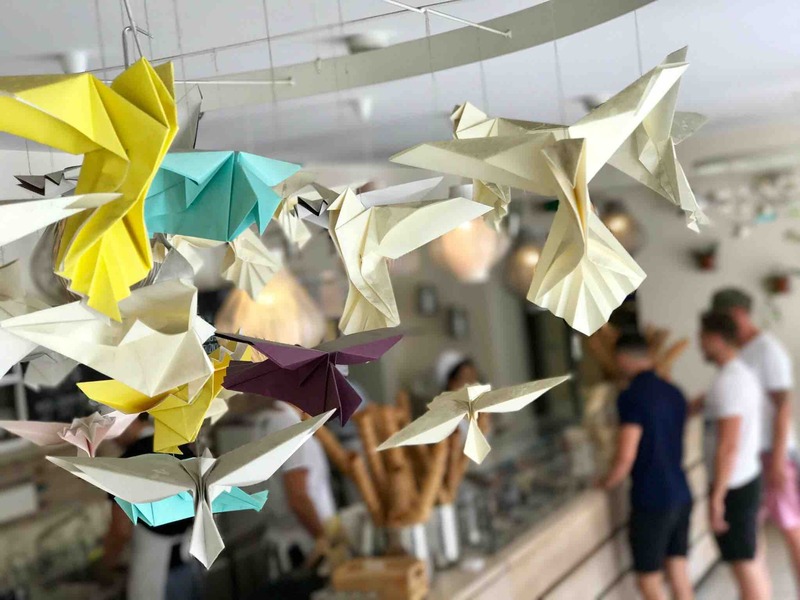 Aligning the interests of both your sales and marketing departments while also differentiating them from one another is the key to unlocking your business’s potential for scalability. Sales and marketing are often used incorrectly so again its worthwhile defining the roles that they play, the reality is that they’re far from similar. Marketing is responsible attract an audience and drive more demand, while sales convert that demand into real revenue. It’s important that you learn to separate both these terms so that you can align their interests while also separating the specialities required in each department or team to ensure success for your business. 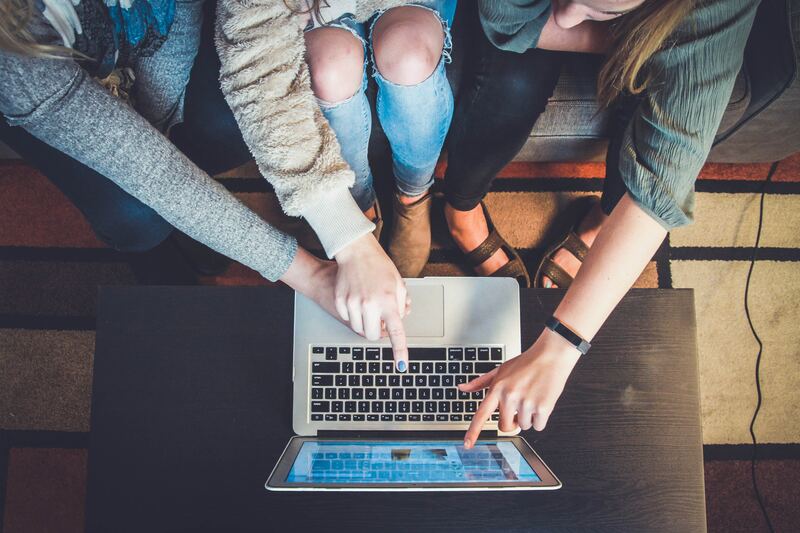 This is why it’s vital that both your sales and marketing team work together to scale your business; focusing on just one of the two factors could grow your business, but it’s scalability which ultimately leads to success. Being able to qualify leads correctly can not only help your business scale, but it can also help you save valuable time and money. So in this guide, we’re going to talk about popular ways to qualify business-to-business (B2B) leads and how you should approach it. Let’s start with the basics; what exactly is a qualified lead? 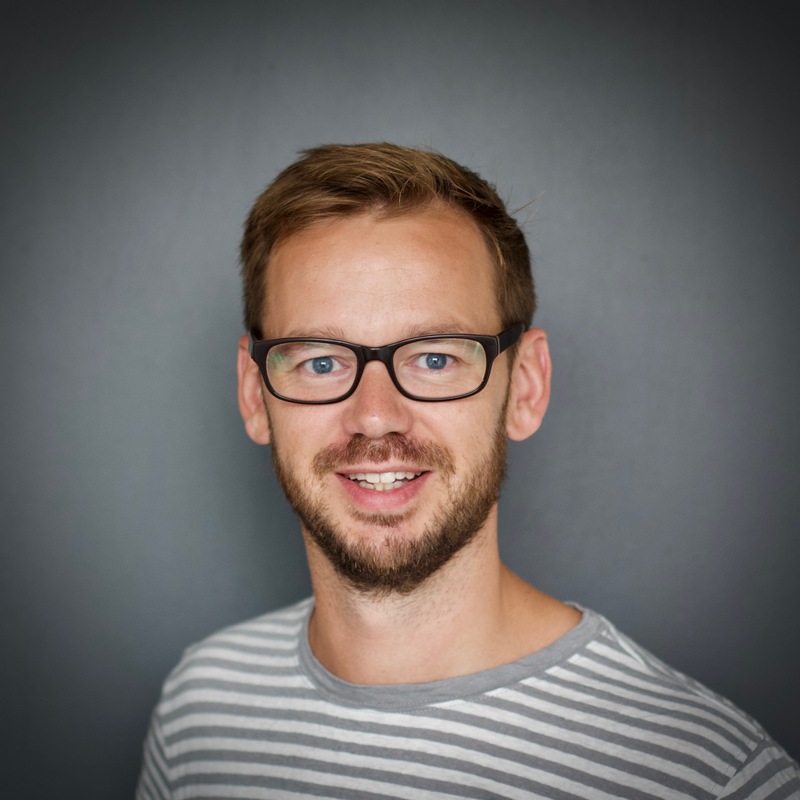 Is the lead a company that fits our buyer persona? Is our lead a contact that has a senior position at the business we are selling to? Does our prospect take advantage of an opportunity in the industry? With each of these questions comes more questions that should be answered in ordered to determine if a lead is qualified or not. Below, we’re going to explain each of these points in a little more detail to help you understand what qualifying a lead implies. A qualified lead typically implies that the company you want to do business with fits your buyer persona. This would include a number of factors such as their location in relation to yours, an industry that you both do business in, the size of the business and the business situation they’re in. Converting a lead into a sale often requires your point of contact to hold a senior position at the business. This means that they have some ability to make decisions within their company in order for your pitch to be successful. If you make contact with someone that cannot actually make a senior decision, then your prospect has reached the wrong people and it does not count as a qualified lead. And lastly, another common question to ask is if the lead is solid. For instance, does the product or service that you offer actually give something of value to the buyer, and is that business one which holds an important or influential position in the industry? These are common questions to pose when identifying qualified leads. There are many other factors that could form a qualified lead, but this is a good start to give you some working examples that you can apply to your business right now. Qualifying leads can provide companies with a much-needed filter to help them sift through a large number of potential clients to work with. Every now and then it’s important to disqualify leads even if they meet the majority of your criteria. Sales teams will try their best not to disqualify a lead for a number of different reasons such as not wanting to pass up a good opportunity or wanting to scale your business and take advantage of the marketing team’s work, but sooner or later you may find yourself questioning a deal that you’ve gotten yourself into. A couple of common reasons to disqualify a lead include your client not having a large enough budget for what you can offer, being in a slightly different end of the same industry as you, or even having a workflow that isn’t compatible with your product. Not only does this reduce the chances of you closing a deal, but it could also turn out to be a huge waste of time. Does the client have a large enough budget to make a suitable deal with us? Does the point of contact have authority within the business they represent? Does the client have a need for the products and services that we offer? Is this a good time for both companies to make a new deal? Each question is fairly straightforward since BANT is considered the standard for lead qualification. 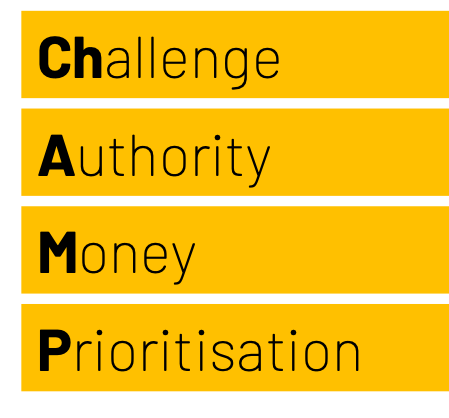 CHAMP is often seen as the new up-to-date version of the BANT acronym. It stands for CHallenges, Authority, Money and Prioritization. 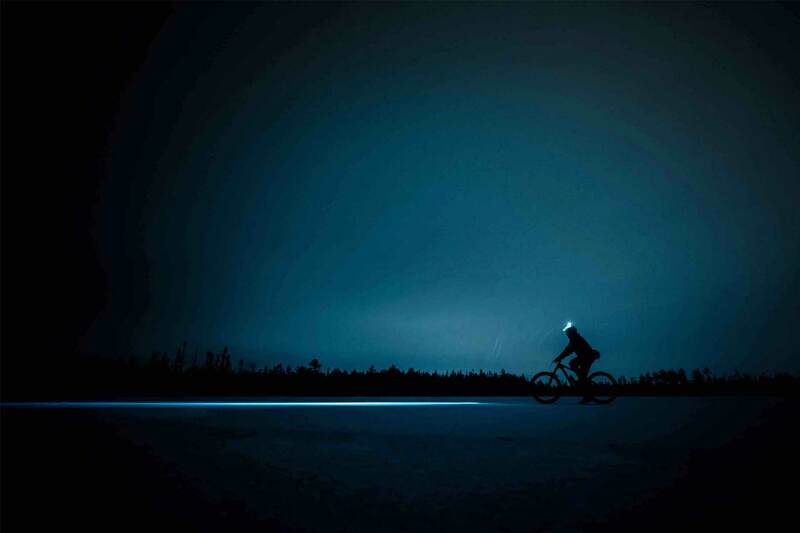 Does your product or service solve the challenges that your prospect is facing? Does your point of contact have the authority to make a decision? Does your prospect have the financial means to partner with your company? Is your product a priority for your prospect? You may notice that CHAMP follows a very similar framework to BANT. 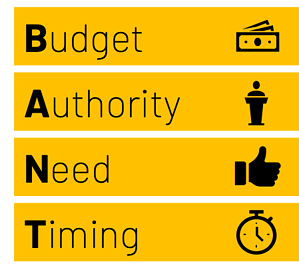 This is why many people consider it to be a modern alternative to BANT since it tackles modern B2B elements such as researching your prospect to find out what their priorities and challenges are so you can align your business with theirs as a potential solution. 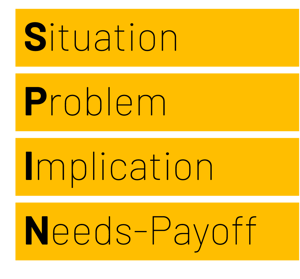 SPIN stands for Sit uation, Problem, Implication and Need-Payoff. The focus of SPIN is on high-quality questions that could speed up the sales process and determine if you should follow-up on a lead or disqualify it in an efficient manner. Unlike BANT and CHAMP, SPIN questions are primarily aimed at the leads that you have created. The questions that you ask will be varied, but the idea is to obtain a deeper understanding of your potential clients and offer a solution for their exact issue. 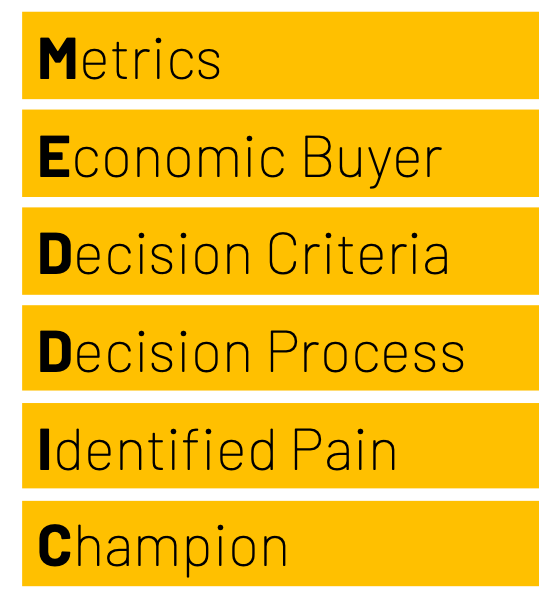 MEDDIC can seem like a rather confusing acronym to use, but it’s no doubt helped many sales teams around the world close deals and achieve fantastic results for their company. What goals does the prospect have in mind for their business? What’s the plan that you plan to implement for the prospect? What challenges do they currently face in their workflow? How long will it take for you to implement your solution for the prospect and does it interfere with anything else? What kind of budget does the prospect have? Does the lead have the authority or do they need to pitch the ideas to someone with a senior position in the company? GPCTBA is often followed by CI which stands for Consequences and Implications. This essentially means the consequences of not hitting targets and the long-term implications it could have on the prospect’s business. This acronym may seem complicated but the terms used are very simple to understand and apply to the way a sales team operates. The qualification process can be long, complicated and may require a lot of effort from your sales team. It’s also something that requires a considerable amount of experience if your sales team are not used to the sales qualification procedure, so we’ve prepared a list of good and bad signs during lead qualification so you can quickly judge whether or not a prospect is waste of time or worth the effort. Do they show interest in very specific varieties of products that you offer? This could include different models, colors or even tiers of your service. If they express interest in a customised product or service then you could be in for a solid partnership. Does the prospect have a large budget? If yes, then they have the financial means to actually make a deal with you and won’t be a waste of time. Is the prospect looking for a long-term partnership with another company or just a stepping stone that will abandon once they find another alternative? The more information the prospect offers you about their company, the more likely they’re looking for a solid business relationship. If the prospect contacted you first, are they reaching out to many different companies or a small handful of specialized companies like your own? If the prospect has narrowed down their list of potential candidates and you’re on it, then they have done their research and have chosen you as a potential business partner. If the prospect tells you they are talking with several other companies that offer a similar service to you, then they likely don’t have you as a first choice and will likely turn you down should a better candidate appear for them. If you don’t have a reliable point of contact with the candidate then it’s likely going to be difficult to have serious discussions about a potential deal. A good prospect should always have a use for your products and services, so if they don’t seem to have a legitimate reason to do business with you (such as their industry being completely different) then it could be a waste of time unless they are embarking on a speciality project that requires the goods or services that you offer. Qualified leads are created through effective use of marketing and sales strategies. They can be a fantastic way to scale your business but should be used with caution given that many companies could end up wasting your time. Once you learn to balance qualifying and disqualifying leads based on sales criteria formed by your own team, you’ll start to find more B2B sales opportunities that will ultimately lead you to success.